Kevin Cole was exposed to George Gershwin at 7 years old. After seeing the 1945 movie, Rhapsody in Blue, he hit the library to learn more about Gershwin. The librarian led him to a book co-authored by Edward Jablonski, who was also a native of Kevin’s hometown Bay City, Michigan. Kevin studied piano, and at 15, he found Jablonski in a phone book and introduced himself as a fellow Gershwin aficionado and pianist. “And there was kind of a chuckle on the other end of the line, but (eventually, he) invited me over for dinner,” he says. 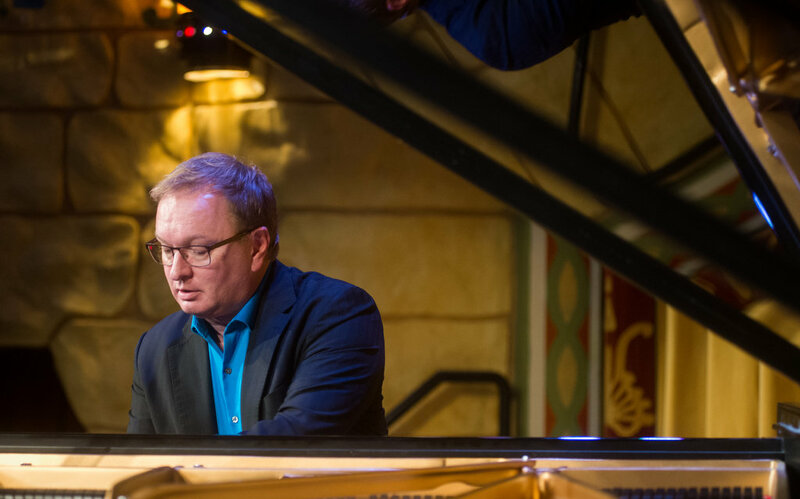 Join us October 6 & 7 to hear Kevin Cole bring Gershwin to life on the ivories, performing Rhapsody in Blue with the New West Symphony! Buy your tickets now!